The small always reflects the big, creation always follows repetitive patterns that mirror each other. Inside every body of every living being is a reflection of the whole Universe. Every star system, every galaxy, mirror these same patterns. Every star is a heart, and every heart is a star. 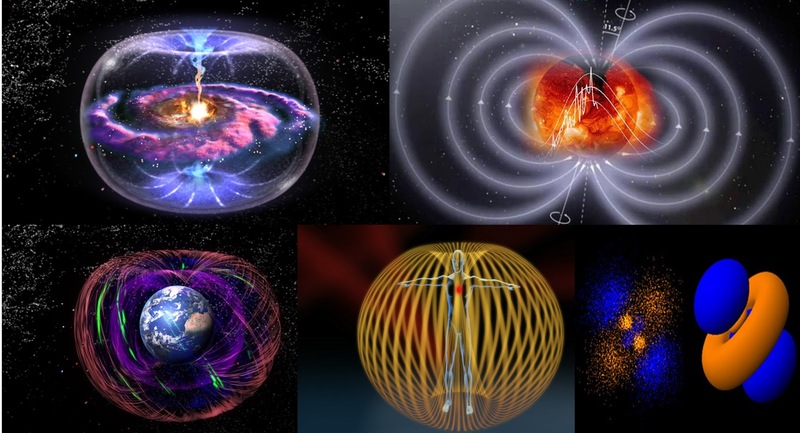 They are the centers of the torus energy fields, whether it is a human body, or a galaxy. Stars and hearts are portals that connect to the Source, through which all the Light, all the life force, flows into the whole body. The physical heart inside the human body pumps blood throughout the body. The heart chakra pumps energy throughout the aura. The Galactic Central Sun pumps Light and Love throughout our whole galaxy. This happens in a rhythmic way : just like your heart beat, the Central Sun has a heart beat, which happens every 25000 years. Right now we are in the middle of this heart beat, which lasts more or less 50 years, from 1975 to 2025. 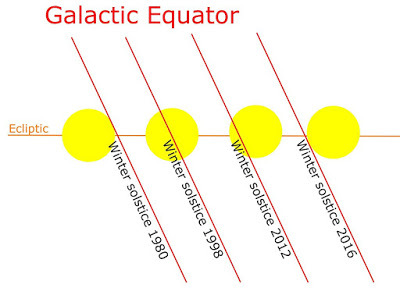 As a consequence, during this time frame, every winter solstice, our solar system is aligned in a straight line with the galactic plane and therefore the Galactic Central Sun. We therefore receive a flash of energy from the Central Sun every winter solstice. We can use this to align ourselves with the Light, and let it flow throughout our solar system to help bring the Event. 3. Visualize a pillar of brilliant white light coming from Source, through the Galactic Central Sun, and then through your soul star chakra and into your body, connecting to the center of Gaia, as you sing the mantra OM three times. Now visualize another pillar of brilliant white light rising from the center of Gaia through your body and upwards into the sky towards all beings of Light in our Solar System and our galaxy. You are now sitting in two pillars of Light, the Light flowing both upwards and downwards simultaneously. Keep these pillars of Light active for a few minutes. 4. Connect to the soul star chakras of every lightworker on the planet – calling to the higher selves of the 144,000 members of the Order of the Star to activate and awaken to their respective missions. 5. Connect to the soul star chakras of all the beings of light in our solar system and galaxy, including the Agarthans, the Ashtar Command, and the Galactic Confederation, who are all sending us so much light, so much guidance, and so much energetic support. 6. See this collective beam of Light expanding into the Earth’s Light Grid, anchoring itself into the Heart of Gaia, and connecting to the permanent light emanating from the core of the Earth. See this light spreading out along the energy grid on the surface of the Earth, and then see it continue to expand throughout the entire Solar System. 7. Visualize this light dissolving all negative emotions and behaviors, bringing justice, truthfulness, and loving interactions between all the people living on the surface of the Earth. 8.Visualize the Goddess Do Mou descending through this pillar of light, bringing peace to humanity. 9. Visualize Full Disclosure and full information releases about the extraterrestrial presence on Earth through the mass media. Visualize the creation of the new fair financial system for everybody. Visualize First Contact with benevolent ET races. Visualize the Event taking place, finally liberating planet Earth. Visualize every human being having contact once again with their spiritual families and guides. Awesome, as always. Thank you, Untwine! Guided Meditation:-Amazing post.Thank you very much for this important post.